For the past few years, the Junior League of Memphis has partnered with Agape North to donate 900 uniform shirts to kids at Cornerstone Prep and Brewster Elementary School. 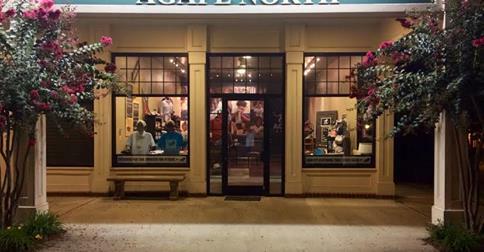 Agape North is a cause-based clothing company that focuses on offering high quality polos, t-shirts, outerwear and caps to its consumers, while empowering them to give back to students in need. The JLM worked with Joe Williams, the founder of Agape North, to design t-shirts that we could sell to our members. The beautiful colors and wonderful quality of the shirts were a huge hit! Every shirt sold equals a uniform shirt for a child at one of the schools that we support in the Binghampton community through our G.R.O.W. program. We love knowing that we are helping to provide students with a clean uniform, made of quality construction that allows the student to attend school, dressed for success, confident and ready to learn. As an added bonus, our members were able to participate in the delivery of the shirts to the schools. As you can imagine there were lots of happy faces that day! So many organizations and businesses order custom shirts for various occasions. 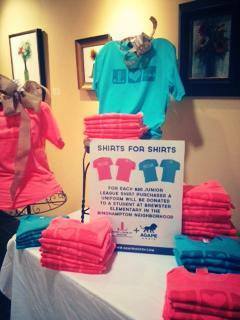 Why not choose Agape North to print your shirts and know that you are giving back to community at the same time? Or – think about Agape North when shopping for gifts! I’ve given several shirts as gifts and the receiver always likes hearing the story behind the shirt. You have the perfect opportunity to check out their full line at their open house this Saturday (August 16th) from 10 am – 4 pm in their brand new showroom located at 9030 Poplar Pike, Suite 107 in Germantown, TN. Please help us spread the word of this wonderful business located right here in our community! Check out www.agapenorth.com orwww.agapenorthfondation.org to learn more. The only thing that feels better than our clothing is the feeling you get when you know the clothes you wear make a difference.